Welp, I need a new CPU fan. My old one finally died on me and I need a new one or my PC will overheat. I'm hoping to pick one up on my way home from work tonight but in the meantime, let's prevent my brain from overheating with some refreshing lemonade. I know, I know, I've been reviewing a LOT of Aldi products lately, but it's my go-to grocery store. I stop there twice a week to grab stuff for myself, my mom, and my grandpa. Since I've been reviewing so many Aldi products this week I figured I would take a break from their house branded items and try one of the name brand products they carry, like this summery Watermelon Mint Lemonade. A few years ago, seeing Bolthouse products at Aldi was a rare treat, but now we have a steady supply. You won't see the variety you would at a "normal" grocery store, but there's pretty much different flavor lining the shelves each week. I've gotten a bunch of their fruit and veggie based smoothies in the past, but never a lemonade. In true Bolthouse fashion this isn't just a normal lemonade, it's watermelon mint. 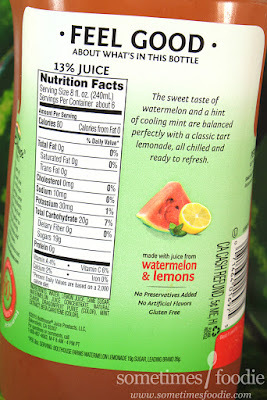 I'm all for watermelon-based drinks, but watermelon, lemon AND mint? Sure it sounds fancy, but will it actually taste good? The bottle is clear ,which shows off the beautiful rose color of this lemonade. 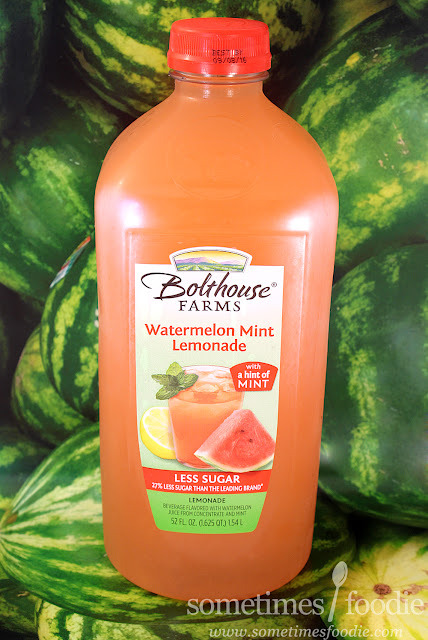 The labeling is consistent with the rest of the Bolthouse branding, and the bottle is a bit larger and shaped slightly differently than the normal fruit and veggie smoothies as well. Now call me crazy, which I am, but something about this label feels off. I think it's the shade of green towards the bottom. That choice seems really bizarre given that Bolthouse's other products use jewel-toned fruit and veggie colors, but like I said, I'm crazy. Once opened, the liquid smells sweet but very light, almost like it was watered down, and there's a healthy dose of mint. If I had to guess what this was based on it's looks and scent alone, I'd think this was a glass of mint-infused strawberry lemonade that had all it's ice cubes melt away. It looks really pretty, but it smells pretty weak. I took a sip and...nope. Not a fan. It's drinkable, but definitely not something I enjoy. I'd liken it to eating an unripe watermelon right after brushing your teeth. It's sweet, and certainly refreshing, but it tastes like something medicinal. I've had mint-infused lemonades and beverages in the past, and I've always enjoyed them, but this combo just doesn't work. 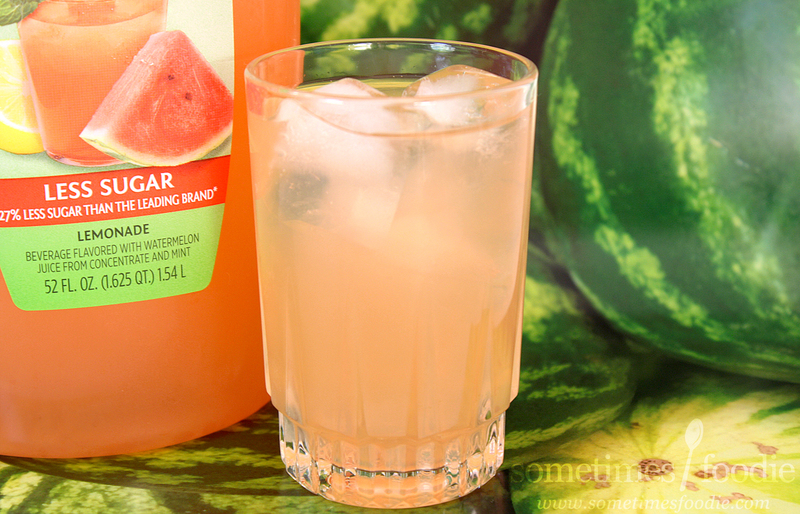 The watermelon nearly overpowers all of the lemony flavoring, so there's no tanginess to offset the sweet melon and herbaceous mint flavors. If this were more zesty and sour it might work, but as-is, I really don't like it. I gave my sister a sip, and while she agrees that it's drinkable, she didn't like it either. I feel like Bolthouse was trying to be playful, yet sophisticated with this flavor mash-up, and it has potential, but this current recipe just doesn't work. Safe to say, I won't be repurchasing this one. 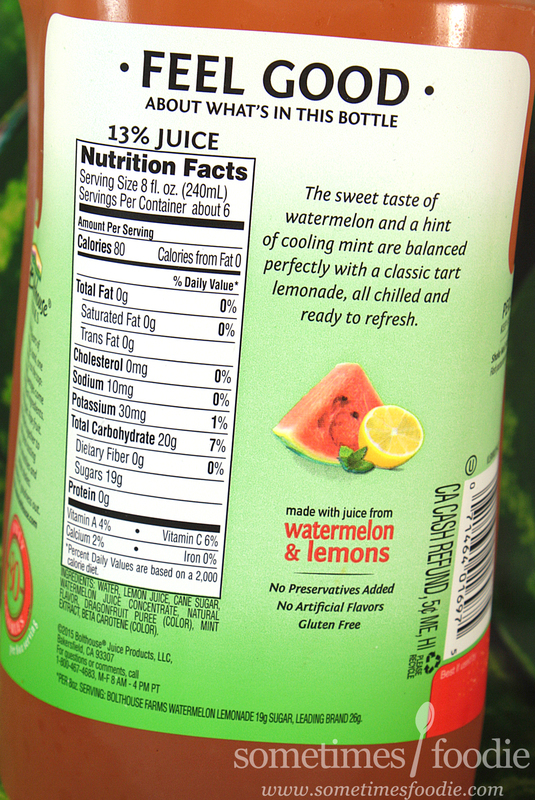 I really enjoyed the Nature's Nectar Watermelon Cucumber Lemonade a couple of months ago (never in a million years would I have imagined that combination would work). After reading your review of the watermelon mint, I think I'll give this one a pass. This looks incredibly delicious. Although I have never seen or tried this juice before, I surely am going to be on the lookout for this one the next time I hit the supermarket.